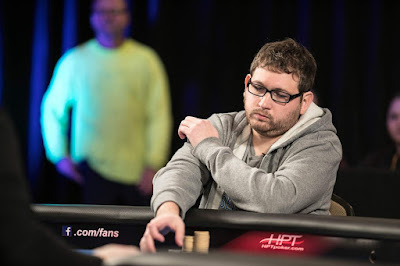 Josh @JReichard45 Reichard dominated play at the @HPTpoker Season XIV Championship final table @AmeristarEC. 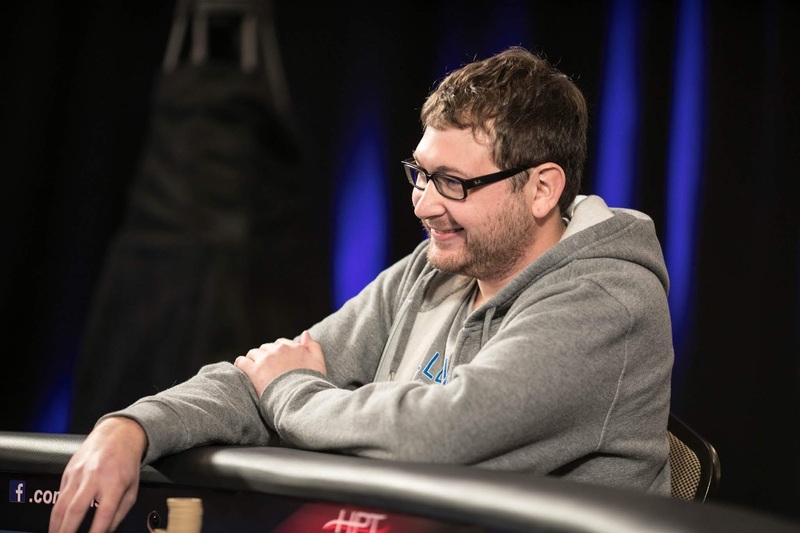 Taking the chiplead early, knocking out each of the final four players, Reichard rolled to win the Season Championship,. Reichard takes home $221,293, the watch, the trophy and a $3,500 package to the Season XV HPT Season Championship. He eliminated Rich Bai in 5th, Adam Greenberg in 4th, Jim Kasputis in 3rd and flopped a flush to eliminate Bobby Noel on the final hand. 6th-place finisher Aaron Johnson claimed the HPT Season XIV Player of the Year title with his finish. Johnson won HPT Belterra, then twice made a HPT East Chicago final table. He had a sweat to the end, though, for Kasputis would have won the title with a victory in the Season Championship. 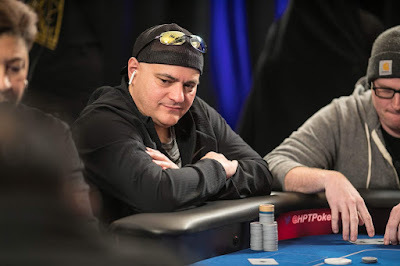 Ossama Estafanous and Jake Baumgartner came in to the Season Championship in first and second place, respectively, but neither were able to cash in this tournament that closed out Season XIV. Among those who did gain a cash in the Season Championship was Mark Morris (11th), Ed Ochana (14), Mike Scarborough (15), Ari Engel (16), Keven Stammen (24), Matt Shepsky (26), Andy Rogowski (27), Shawn Roberts (28), Casey Carroll (35), Ryan Julius (38) and Cody Brinn (44). Here's the final results from the Season Championship. 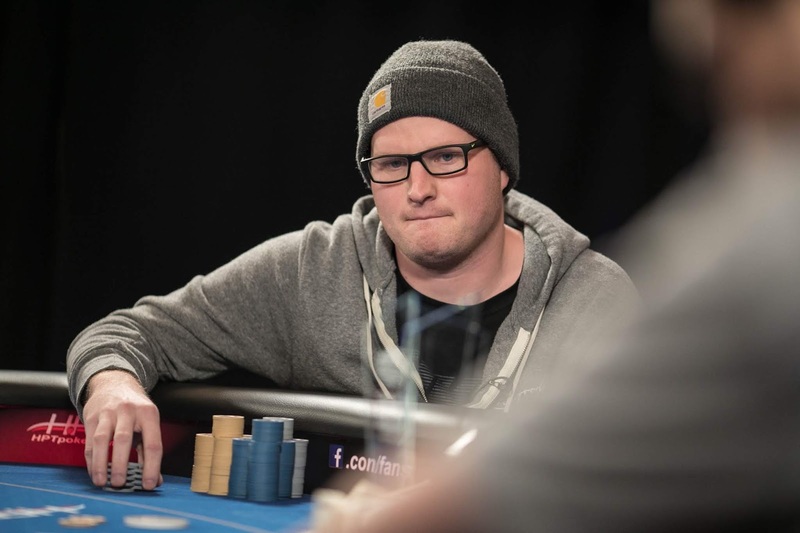 Josh Reichard has begun to open up his lead again over Bobby Noel, after Noel doubled three different times. The flop is and before anyone can blink, all the chips are in the middle. 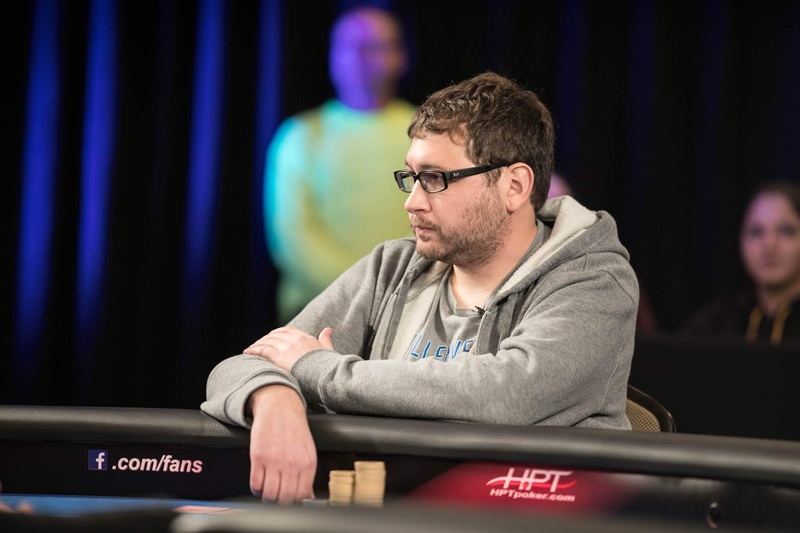 The board runs out and Reichard eliminates Noel to win the HPT Season XIV Championship. With his 6th place finish today - his 3rd @HPTPoker final table of the year - Aaron @AyeGeeJay Johnson wins the HPT Season XIV Player of the Year title. 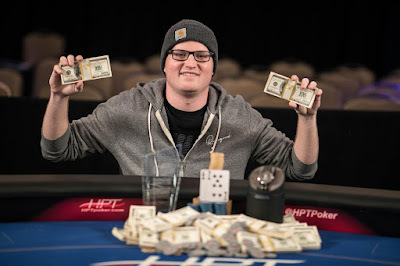 Johnson - winner of the HPT Belterra $1,100 Main Event in March for a $86,189 cash - followed that up with an 8th place finish at HPT East Chicago in May, taking the Player of the Year lead at that time. Ossama Estafanous - also with three final tables - took over the Player of the Year lead in September, with Johnson in third place. 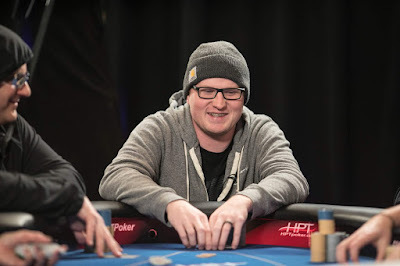 Once Estafanous did not cash in this HPT Season Championship, Johnson needed an 8th place or better finish today (along with varied results from other players) to secure the win. Johnson took 6th place, temporarily moving to the lead, but left to sweat as Jim Kasputis could have won with a victory in the Season Championship. Kasputis went out in 3rd and Johnson claimed the title, earning $10,000 in HPT Main Event buy-ins during Season XV, along with hotel accommodations at each HPT tour stop he goes to. Bobby Noel has taken a few pots, mostly by moving all in and not drawing a call from Josh Reichard. Noel moves in this time and Reichard does call. The board runs out and Noel cuts Reichard's chiplead down to 3-1. Reichard is at 9.5 million to the 3.4 million of Noel. 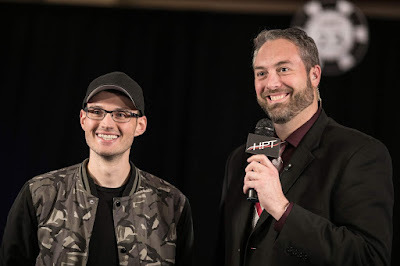 Josh Reichard has 11.8 million of the 12.9 million chips in play as heads-up play begins with Bobby Noel to decide the @HPTpoker Season XIV Championship @AmeristarEC. Noel has 1.1 million. Play is about to begin in a few moments. 30-minute levels, the ante is the size of the SB. One hand after doubling through Josh Reichard, Jim Kasputis moves all in preflop and Reichard calls once again. The flop takes the Queen away from Reichard as it gives Kasputis Broadway. The board, however, runs out . The heads-up match between Reichard and Bobby Noel begins in a few minutes. Reichard opens with a 10-1 chiplead.